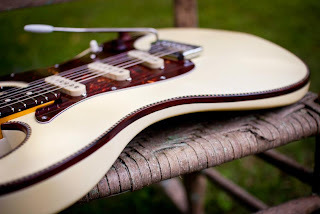 Matt at Red Rocket Guitars just posted this new ivory StyleSonic S-type at Facebook. So get over there and "Like" the page, ok! We've featured the StyleSonic before (click here), and you can get more details at that earlier post, as well as the links there. 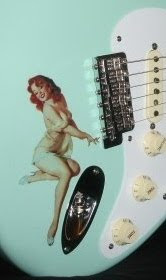 One of Red Rocket's trademark features is the purfling bound bodies. 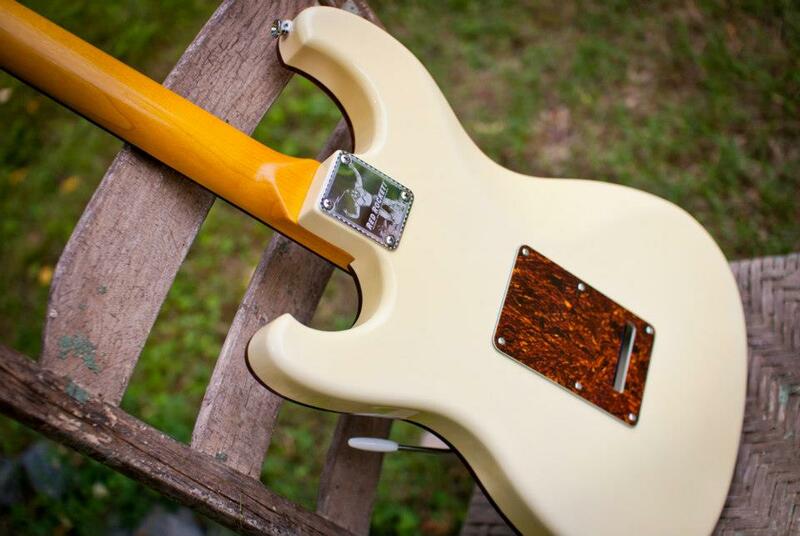 North Carolina based builder Matt Nowiki makes a variety of guitar models, one at a time. And even though I'm Mr. Stratoblogster, my favorite Red Rocket is the Afterburner; a single cut, hollow, archtop, Bigsby equipped archtop hot rod. 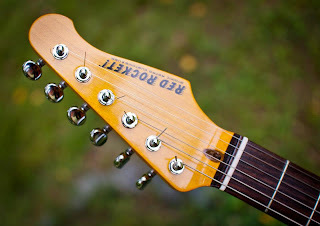 Visit redrocketguitars.com for the full "B" movie/poster experience, and find out what "Atomic-Retro" is about! Distinctive Guitar LLC - Red Rocket Dealer.